Rated 3 out of 5 by Jack from Review First off Hustler sent me an email stating I purchased my Fastrak at Lowes. I did not purchase it from Lowes. So much for Hustler keeping good records. Next my Fastrak does not cut level. I use a digital air gauge to check my tire pressure. (8.5 psi) The discharge side always cuts about an inch higher than the other side. Otherwise it is a great mower with plenty of power. Rated 5 out of 5 by Chargermann from Fast Trak 60 I bought this after I my 3 year old Raptor SD 54 needed some new spindles & blades( my fault due to cutting newly graded lot). i have 4 Acres to cut and this Fast Trak 60 is 3X the other was. Should have bought this first off. My dealer took the Raptor on trade. Thanks SNR in Satsuma, La. Rated 5 out of 5 by MPIRE9 from FasTrak 54 60 hours into my new FasTrak 54" and I love it! Added the mulching blades and a block-off plate. Excellent cut. Great speed (with a quality cut). Residential use only. Added a custom mount for broadcast spreader, able to control while seated. Reduced my lawn care time by 1/3 (as compared to my previous rider mower). 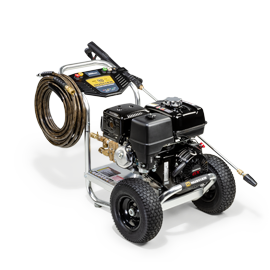 Easy maintenance (blades, oil, grease zerts, air filter, etc...). Rated 5 out of 5 by Waterboy980 from My 2-year review I purchased my FasTrak 60-inch zero-turn in March of 2017. I have just under 100 hours on it and cut approximately 7 acres with the mower.Thjs mower has been nothing but good to me. The only complaint I have are the bolts that raise and lower the deck do become loose and will fall off if unchecked, I have lost three and had to replace them immediately in order to continue to use the mower. I suppose I could put lock-tight on these bolts and the problem would be solved, sounds like an early spring job. Yes, I highly recommend this mower. Rated 5 out of 5 by JimBob from NE Ohio Mower I have owned my Fastrak for 2 years now, I estimate that I mow approximately 4 acres (between mine and my parents). The machine now has approximately 105 hrs on it and still looks/runs great. Maintainable via your own shop and easy to operate. My Dad will use the mower if I am too busy. It does cut the time in half or better from traditional mower & is fun to operate. No regrets. Rated 3 out of 5 by Wyatt08 from Good mower for grass only I purchased this mower to do cemeteries this summer. Not a good mower for this. Cemeteries, (rural) tend to have taller grasses and some weeds. 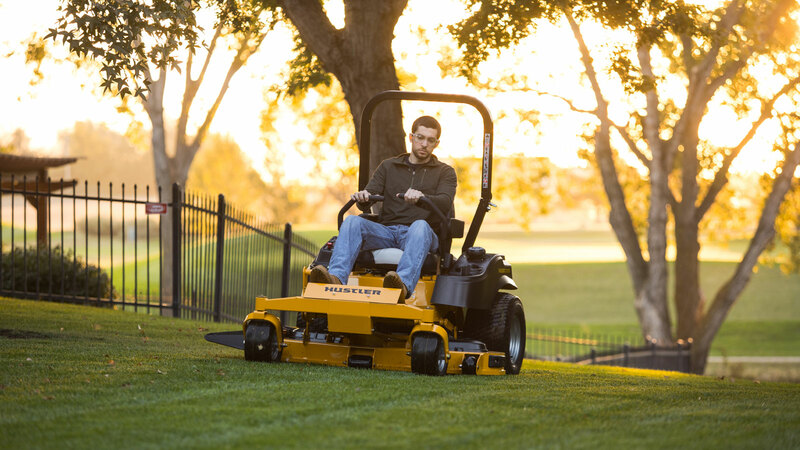 This mower has more than enough power but will not mow weeds or tall grass without leaving strips. Would not recommend for anything but short grass, which it does a great job. Rated 5 out of 5 by Kwhitey5 from Hustler Fastrak 48 I bought 3 zero turn mowers this summer and the only one that I kept was my Hustler Fastrak . Sold the other ones . My property has a lot of hills and this is the only one hat was safe and didn’t slide on me . Holds the ground and cuts great. I would recommend to everyone. Rated 5 out of 5 by Jims from cuts mowing time Previously used a tractor pulling a 5ft finish mower to mow about 5 ac. The Hustler is much easier to use and cuts the time about in half. I have used this mower for about 2 seasons and it has required no repairs just normal maintenance. Couldn't be happier with it. Rated 5 out of 5 by Debbie from Great machine. Great made machine. Love the ride, cut and time saved. We have had the mower for a little over a year and have had no problems with it. So happy with it and we tell everyone how happy we are with it. I love to mow the lawn too. Not a hassle anymore. Thank you. Rated 5 out of 5 by C.T. from Excellent quality! I've got over 560 hours on my first Hustler and I've never had a problem with it! I haven't had to replace anything except changing the different oils when specified. I liked my first one so much, I bought another one four years later! Now my wife can help me! Rated 5 out of 5 by Cornbread from So smooth Awesome mower, very smooth, cuts amazing, seat is so comfortable. Blade tip speed is very fast so it doesn’t miss hardly anything... downside is it wears out the blades if you have a sandy yard. I did a lot of research for a couple years before I made up my mind what I wanted. Hustler seamed like the clear choice to me. The extremely heavy duty blade spindles and 3100 class drive motors is what made my mind up to buy this mower. Rated 5 out of 5 by Chet from Great Mower I have owned the Fastrack 54" now for over a year. I bought it from a JD Equipment store in Ohio. The cut and finish on the yard is excellent. I have the yard treated over 6 times a year and the grass is thick. The mower has no problems mulching the grass and distributing it out. No large clumbs of grass even after a week of being gone on vacation. Rated 5 out of 5 by SOUTHPAW from HUSTLER FASTRAK 60 WITH A KAWASAKI MOTOR I'm in the steel industry for work and I've been using fixer upper push & rider lawnmowers most of my life. In my early teen most mowing jobs were summer jobs for some extra cash or my parents properties. Into my adult hood I've learned what is cheap for cheap and what your getting your moneys work in a good quality product. I started some side work for my Brother-in-law and had the opportunity to do repairs or general maintenance on plenty of big name brand equipment worth $15k+ The one I liked the best was Hustler, easy to: maintain, repair parts(even if neglected) and Hustler leaves just enough space for your hands to work in and around the machine. Biggest sell for me was the engine size & warranty, drive speed of 8mph, and the deck construction (10ga welded deck, 11ga reinforcements & 3/8" fabricated plates in the front forks) Compared to my Murry 20hp 48" cut this cut my time in half if not a little more by going with Hustler Fastrak 60"
Rated 5 out of 5 by Keith C from 60" FasTrack Have been using this mower for almost 1 year on a flat but very rough 1.5 acre lot. Many dozer ruts from house construction 3 years ago. Have not had any issues with this mower and can don't expect to have any. I can get the cutting job done in about 1 hour. Now looking to purchase a rear bagger for picking up leaves this fall. Rated 1 out of 5 by Mike30251 from Bad Engine Bought in 2014. Suppose to be commercial. Engine had to be replaced at 5yrs. 350hrs. Kawasaki FR691 V. Mower was kept cleaned after each use and oil and all filter every 70-80 hrs. Rated 5 out of 5 by woodman58 from Best mower I've ever had I purchased my Hustler 3 weeks ago. I bought it so i could help my Dad cut his lawn. He cuts about 5 acres. The mower cuts as fast as I can drive the mower. It handles well on his steep hills and cuts close to all objects. There is very little trimming to do after cutting. I am very pleased with the Hustler. Rated 5 out of 5 by 6276Charles from 2016 Hustler FasTrak 54 Purchased in spring of 2017, have cut my 1.5 acre yard every week. I have no regrets purchasing this zero turn mower. I love the foot operated deck lift, the grass height adjusters, and the seat is more than comfortable. The main thing that sold me was the soft touch steering arms, Hustler nailed it with the dampners on the arm assemblies, the hydro action is smooth as butter and the 23hp Kawasaki motor has plenty of torque. The only negative thing I can say about this unit is the powder coat/paint could be improved. I have several areas on the mower that must have had little to no primer, because paint is flaking off. Build quality is good and it also has a lower sitting position than most of its competitors which aids in stability. My only regret is not buying the FasTrak SD which has the commercial air filtration system. 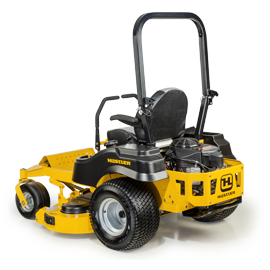 I would buy this mower again and yes it is a little pricier than some competitors similar models, but Hustler has a good product with the FasTrak model and I am a pleased customer with their product. Rated 5 out of 5 by Rick D from Best mower I ever had. I have had my fastrak for almost 4 years now. No break downs or parts replacements except filters and oil changes. I can't begin to express how happy I have been with my hustler mower. If I had it to do over again, I would do the same. This mower is awesome! Rated 4 out of 5 by Gale from Heavy duty .... built well.l A supurb machine except for one issue. The gas tank quantity indicator has failed three times. The dealer has replaced the tank, but it has failed again, and does not work. It will stay stuck in the full indication. A very unreliable system. Rated 5 out of 5 by Gremlin77 from No more mower frustration! After years of dealing with 3 different mowers not working right or being broken, sometimes all at the same time, my wife made me consider buying this zero turn. Best purchase I have made this year! Now she even wants to use it! Rated 5 out of 5 by Hookdriver from Greatest lawnmower I've ever used. Bought the FasTrak to mow 3+ acres of grass, and it does it with ease. I'm able to mow close to trees, bushes, fences and buildings. I've used it for two mowing seasons, and it never failed to do the job. Rated 5 out of 5 by CaseyA from Great product! I got my Hustler FasTrak about 4 months ago. Very satisfied so far with it! Great mowing deck along with a very comfortable ride! I have no complaints with this mower! Great dealer I bought from also! Rated 5 out of 5 by F5. Brad from My second Fast Track Great mower. The first fast track I purchased in 2009. Ran it until 2015 and still got a great resale price. Purchased another one in 2015 and it continues to perform flawlessly. Rated 4 out of 5 by wjjones from Everything I bought a raptor which was good but I traded it back for a fastrak because I needed something with more acreage capacity. It does everything I need it to do, and alot faster. Rated 4 out of 5 by bowhunter205 from Smooth ride! I bought this a few weeks ago and so far so good. Still getting used to driving it and I've found with the upgraded seat and front wheel upgrade it is very comfortable. Rated 5 out of 5 by Gibbs trucking from Excellent I’ve tested them all but nothing beats the fastrak. I bought it at Heartland Outdoor Equipment in paducah ky, they are really good people, and they know there mowers. Rated 4 out of 5 by Billbo Swaggins from Nice, powerful machine Very nice, solid, stable unit. It's a little larger than the [mower] (can't mention the competitor's name, even though they aren't in business anymore) it replaced and has more power. Large rear tires are very nice and make for a better ride. I went with the smoother-riding front wheel forks which makes mowing a little more comfortable. The steering is very smooth and stable. It doesn't track to the left or right when full-on forward. 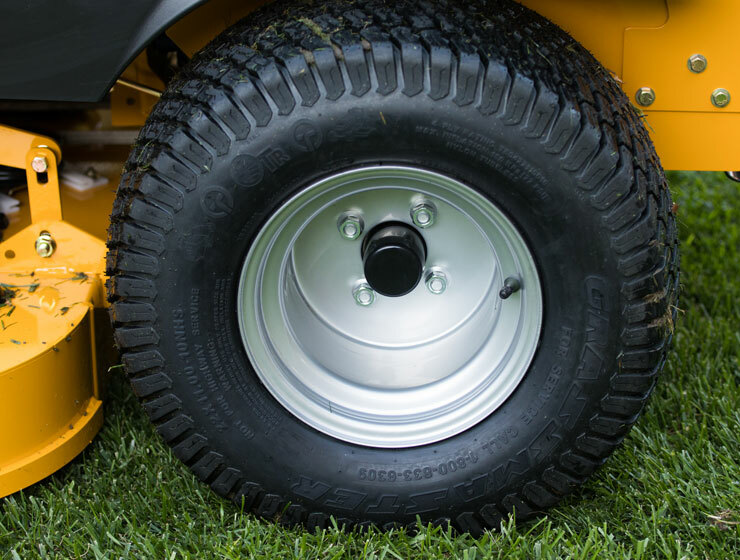 Maintenance is pretty simple; well-designed mower to make it easy to access fluids and electronics. Not quite as fast and uses more gas than the [mower] it replaced, but the engine is more powerful and doesn't bog down as much in thick grass if I couldn't mow as soon as I should have. Would like to add a bagging unit someday, but it does a nice job of evenly distributing the clippings out the side chute. Intrigued by the rear-discharge option, but couldn't justify the extra money. It is a bit difficult to clean the top of the deck and it accumulates a lot of clippings. A little hard to clean under the deck, too. Lights would be nice. Optional attachments for snow removal would be nice. Rated 5 out of 5 by David9800 from Awesome Zero Turn I purchased this mower about 4 months ago and it is the Best lawnmower I have ever owned. This machine is very well built and is very comfortable to ride. how do you drain the fuel tank? Diesel was mistakenly poured in and engine was started. We suggest you contact your dealer to address this. Where can I find a replacement seat for my fastrak? You can visit with your local Hustler retailer to purchase a replacement seat for your machine. Find your closest retailer using our Find A Retailer tool at https://www.hustlerturf.com/find-a-retailer. We purchased our fast trak mower about ten years ago. The problem is the seat doesn't have any springs on it and it is killing my husband's back. We have about 3 acres to mow. Is there any replacement seats with springs to relieve his back problems? My brand new fastrac 60&rdquo; zero turn has 4 hours on it and my blades will not engage Why?